Add a sense of luxury and comfort to your decor with this stunningly vibrant chair. With a scalloped back and upholstered in a bright hot pink colour. Just the chair you need for adding that girly touch to the living room or bedroom. Sumptuous and comfortable with a round cushioned seat surrounded by a high scalloped back. Polished gold tapered legs prvode great stability and completes an elegant look. 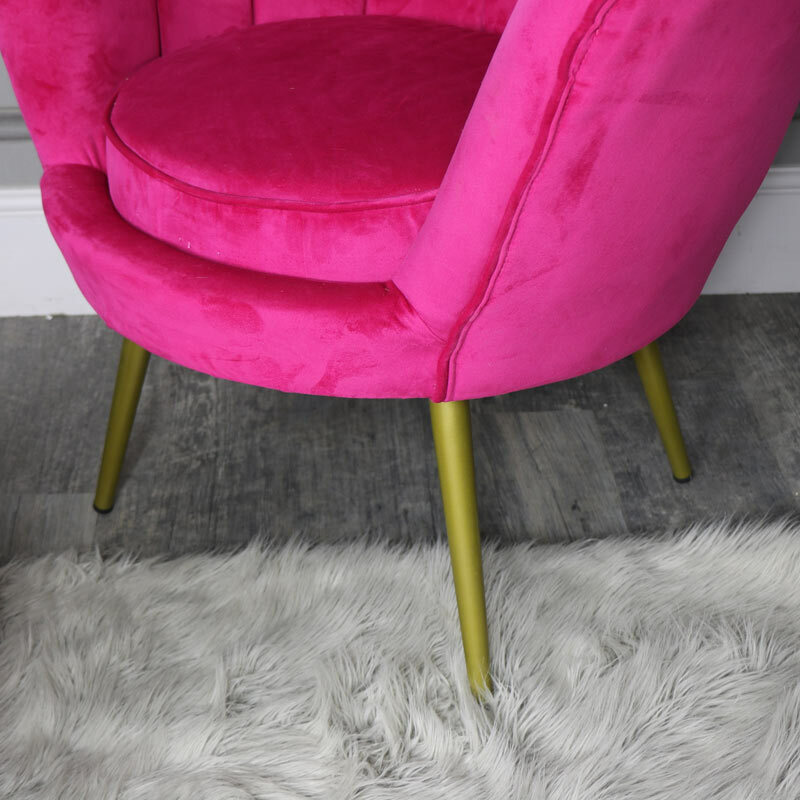 This chair adds the 'WOW' factor and is just what you need for a girly boudoir or living room. Sit down, relax and unwind with a warm cup of tea or a glass of your favourite tipple. Add a sense of luxury and comfort to your decor with this stunningly vibrant chair. 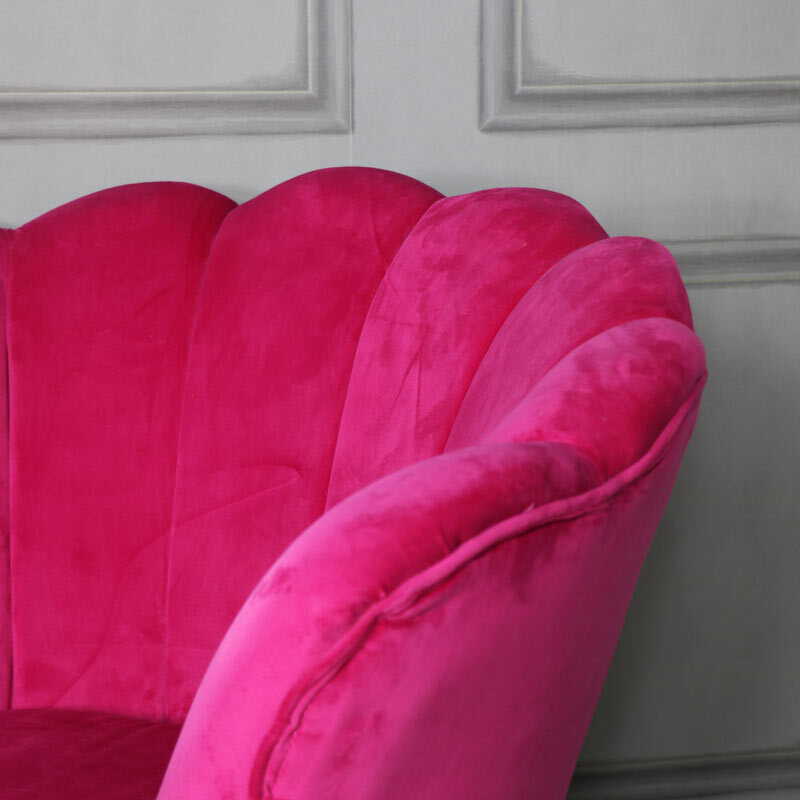 With a scalloped back and upholstered in a bright hot pink colour. Just the chair you need for adding that girly touch to the living room or bedroom. Sumptuous and comfortable with a round cushioned seat surrounded by a high scalloped back. Polished gold tapered legs prvode great stability and completes an elegant look. 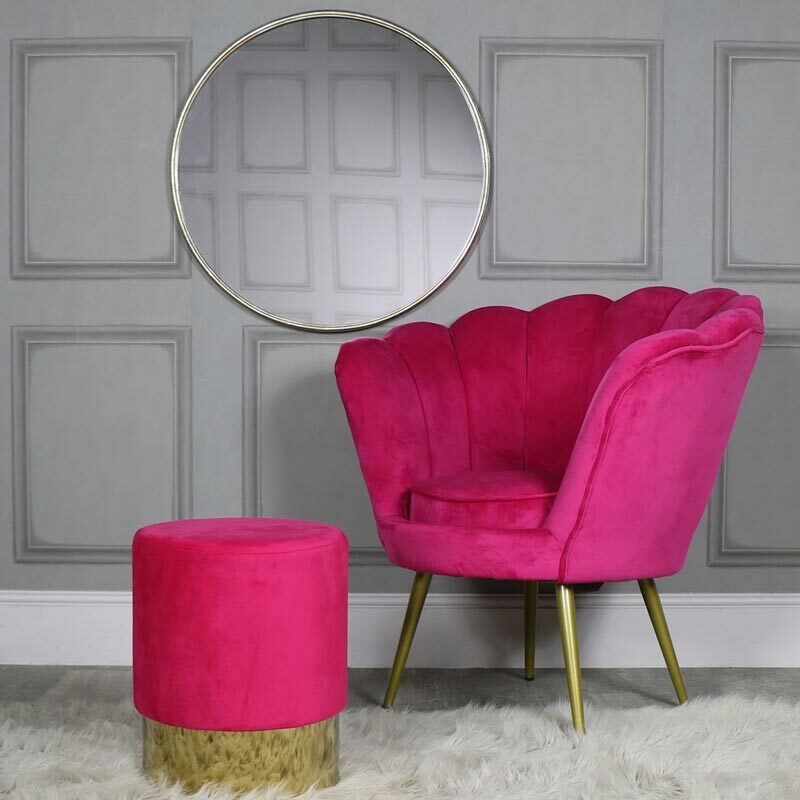 This chair adds the 'WOW' factor and is just what you need for a girly boudoir or living room. Sit down, relax and unwind with a warm cup of tea or a glass of your favourite tipple. 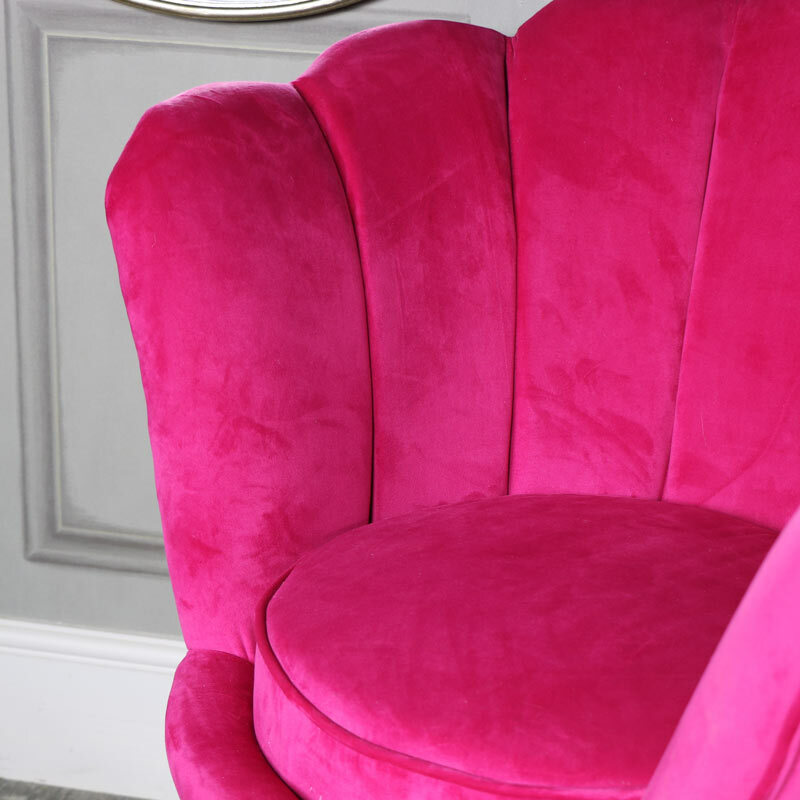 Upholstered in a luxurious hot pink velvet with gold metal legs, with a seat height of 46cm. Minimal assembly required with just the legs to attach which is quick and easy to do. We have many more sofas and chairs for you to choose from and an extensive range of wooden furniture that will allow you to restyle your home and create your perfect dream space. Comfort and style all in one place.